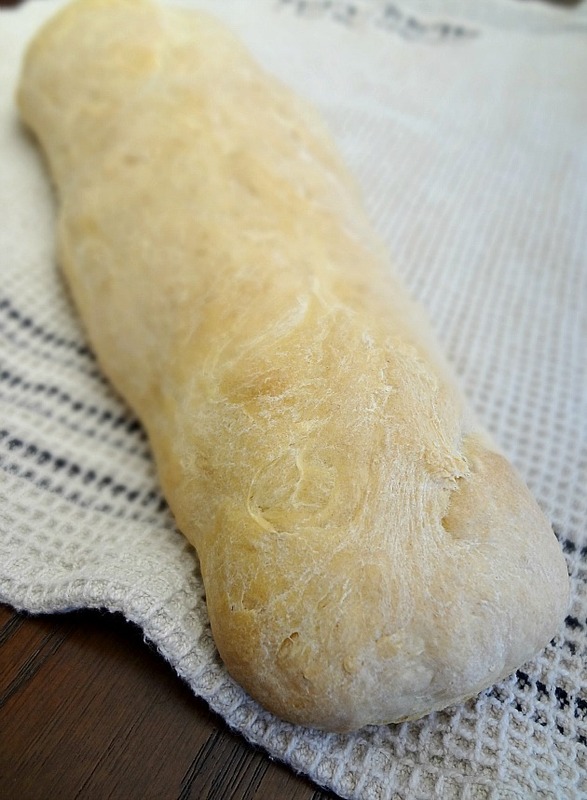 I think this is my new favorite quick and easy bread recipe! I was honestly shocked by how simple it was to throw together and then you just have to wait about an hour for it to rise and about half an hour for it to bake and then...TA DA! 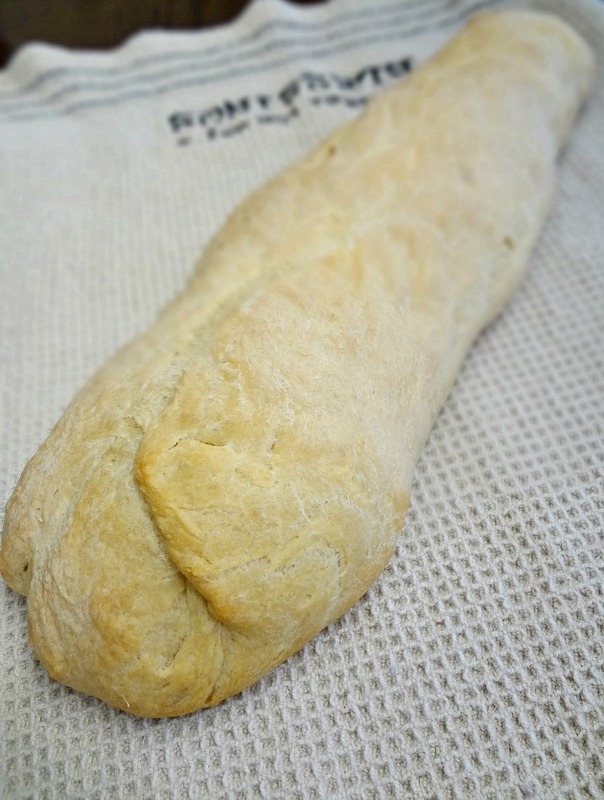 French bread! I think my current favorite use for this recipe is for garlic bread--that's what I made it for initially when we had Michael's friend over for dinner. You can make it the day of or like a day ahead of time and it helps you make seriously delicious an brag-worthy garlic bread (seriously...look at people's faces when you tell them you made the whole thing from scratch, even the bread. They will be impressed!) Slightly crusty on the outside, nice and chewy on the inside. 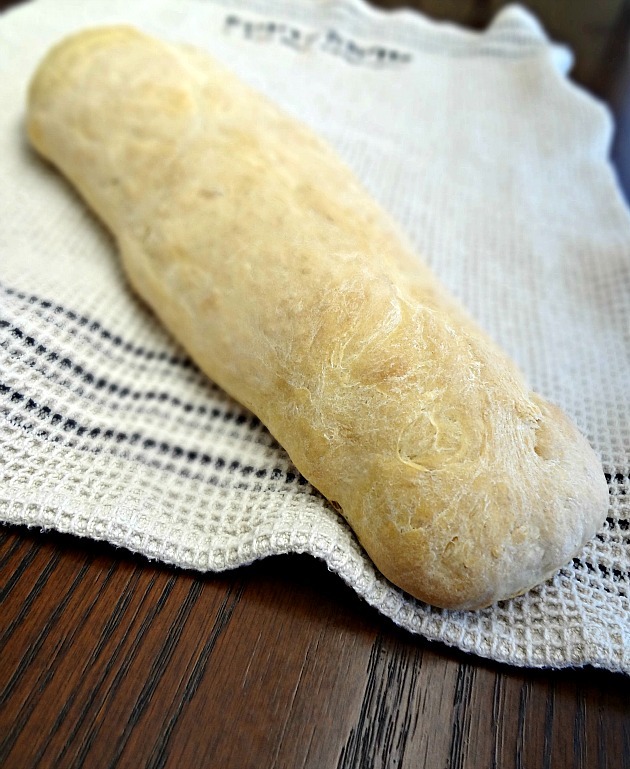 Gotta love a delicious and easy recipe for homemade bread, am I right??! Makes 1 loaf of bread. In the bowl of a stand mixer (or just a large bowl, if you don't have one) dissolve the yeast in very warm, but not hot, water. Let the yeast bloom for about 5 minutes. Grease a different large bowl with olive oil. In a medium bowl whisk together the flour and salt. Let cool completely and then cut and serve! Store leftovers in an airtight container at room temperature for up to 5 days, or freeze for up to 3 months. Sorry I didn't take any pictures of the bread when it's cut! I wasn't able to due to the whole people coming over thing. Next time I will and then I'll add some on here-do not fret!